Next time you grab an organic salad for lunch, sit and contemplate where it came from. How gratifying would it be if an American veteran of war helped plant the peas, cultivate the kale, harvest the heirloom tomatoes? Former U.S. Navy Operations Specialist Kelly Carlisle runs Acta Non Verba: Youth Urban Farm Project in East Oakland, Calif. The non-profit serves at-risk youth from kindergarten to 8th grade, and their families. Photo: Farmer Veteran Coalition. I watched an inspiring and important documentary recently called “Ground Operations: Battlefields to Farmfields." Equal parts film and social action campaign, it tells the story of U.S. military vets (all branches and war eras) being recruited by the U.S. Department of Agriculture to serve a vital mission: replace the estimated one million farmers who will be retiring. The USDA finds combat vets the perfect candidates to fill all those overalls and help feed an ever-growing population. As the documentary’s promotional literature puts it so succinctly, “agriculture's problem is the veterans’ solution.” Many vets return home to a new kind of battle: depression, post-traumatic stress disorder, extreme anxiety, anger issues, unemployment, prescription drug addiction. The suicide rate among this population is disturbingly high. For these honorable men and women, working as sustainable farmers, ranchers and artisan food producers is a meaningful new career, an opportunity to rebuild and ease back into civilian life in a peaceful, fulfilling, giving way. They serve their country and their communities by cultivating fresh, healthy food that’s local, affordable, and accessible. Their brave new world finds them armed with leafy greens instead of automatic weapons; clucking chickens have replaced artillery fire; overalls are their new fatigues. I dug around for more details on these recruiting efforts and struck pay dirt when I read more indepth about the Farmer Veteran Coalition, the nonprofit outreach organization featured in “Ground Operations.” The FVC aspires “to lead the national effort connecting veterans to agriculture,” working with them, their families, and employers in all 50 states to support those pursuing or returning to careers in agriculture. Some of the ways it does so is by facilitating farming education and providing financial assistance, such as its Farming Fellowship. “The veterans we work with have served their country twice – once by defending it and now by feeding it,” states executive director Michael O’Gorman on the FVC website. A farmer and veteran himself, he launched the coalition from the back of his pickup in 2008. How are things going? Or should I say, ‘growing’? 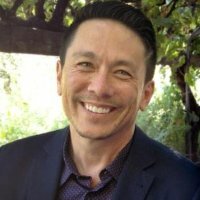 “What began as a dozen veterans has blossomed into about 3,500 vets registered with FVC, numerous veteran-run training farms nationwide, historic legislation included veterans in the Farm Bill, and the number of farmers is going up for the first time in decades,” reports the latest “Ground Operations” newsletter. Meet some of the veterans whose lives have been transformed by the FVC program. 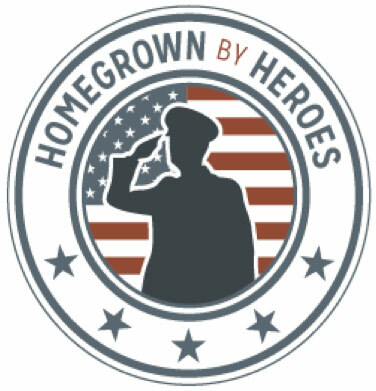 Additionally, a marketing initiative called Homegrown by Heroes fortifies FVC’s mission “to mobilize veterans to feed America.” Those who’ve become farmers and/or work in agricultural production and who have served in any branch of the U.S. military are eligible for membership. One of the key benefits of joining is they get to apply the Homegrown By Heroes logo on their products and agribusiness signs. It’s a badge of honor, of authenticity, that the agricultural products were brought to market, thanks to hardworking veterans committed to feeding the nation. To learn more about “Ground Operations: Battlefields to Farmfields” and to support the growing network of farmer-veterans who are creating “healthy new lives for themselves and delicious food security for communities across America, visit www.groundoperations.net. Ground Operations screening events are a wonderful way to honor military veterans finding a new life in agriculture. They offer farm-fresh food, the film, farmer-veteran speakers, and the opportunity to participate in lively conversation about local food and farming. Read the complete details here.